This will be your favorite sweatshirt, hands down! Made of high quality, long lasting, thick Hanes ultimate cotton line! Not made of thin fabric. 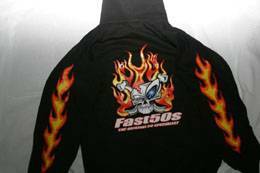 Your Fast50s hoodie lasts for years!